Have you ever heard the expression that you only use about 10 % of your brain? The laws of human development and evolution will not allow such a thing! Biological history demonstrates that the human body changed over recorded history as the needs changed around it. If you did not use all of the brain, it would by now be much, much smaller. We would not be created with such a large brain if we were only using a small percentage and then have kept the brain large over such a very long time. The old adage of “what you don’t use, you lose” is still true. So what happens to the almost 90 % we don’t know we are using? Science is only now beginning to understand interdimentional energy and how it ‘thinks’. Equipment to measure more of our interdimentional thinking is becoming available. Is it then possible that much of our thinking has just not been measurable before? That, indeed, we are playing accross the field in many, many ways which we have just never been able to quantify? For much of history, the brain has been seen as a mysterious ‘black box’: the only clue to what went on inside was what came out of it. During the 20th century, a variety of approaches were used to explore how the mind functions. Today, brain imaging techniques are bringing us tantalisingly close to seeing the workings of the mind in action. It is difficult to understand how the physical tissue of the brain can produce an apparently non-physical thing like consciousness. Mind and body (of which the brain is a part) seems so different that it is tempting to think of them as totally separate parts of the human body. In the 1950’s the Canadian neurologist Wilder Penfield pinpointed areas of long-term memory by stimulating the brains of patients undergoing surgery. The brain itself has no pain receptors, so operations can be performed with the patient awake and thus able to report what happens when different part of the brain are touched. Penfield discovered that placing electrodes on parts of the temporal cortex (at the side of the brain) triggered vivid descriptions of long-forgotten events. In the last 20 years, the mapping of brain processes has leapt ahead with the development of a variety of techniques. We are using techniques like EEG, CT scans, FMRI and PET scans - all different ways of examining what is going on inside our heads. The images below demonstrate PET Scans before and during meditation. Human Intelligence has its roots in our genetic code, and in the whole evolutionary history of life on this planet. It is influenced by our daily experience, our physical and mental health, our diet, the amount of exercise we get, in the kinds of relationships we form, and by many other factors. But neurologically speaking, everything that bears intelligence is routed through or controlled by the brain and its neural extensions into the body. However, the deeper secrets of the brain are just beginning to be unravelled. The mystery begins in the womb - only four weeks into gestation the first brain cells, the neurons, are already forming at an astonishing rate: 250,000 every minute. Billions of neurons will forge links with billions of other neurons and eventually there will be trillions when a message from one nerve cell is transmitted to another, through a chemical transmitter. Every cell is precisely in its place, every link between neurons carefully organized. Nothing is random, nothing arbitrary. 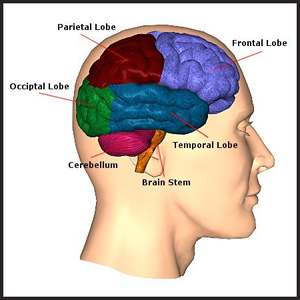 The diagram demonstrates the relatively few brain connections in a very young brain. Involuntary, or "lower," actions, such as heart rate, respiration, and digestion, are unconsciously governed by the brain, specifically through the autonomic nervous system. 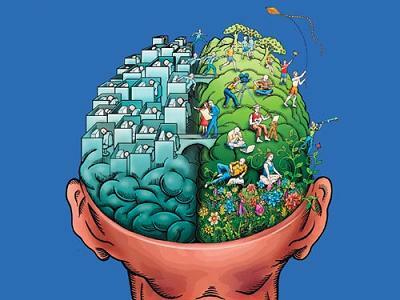 Complex, or "higher," mental activity, such as thought, reason, and abstraction is consciously controlled. The human brain contains between 30 and 40 billion neural cells or neurons. 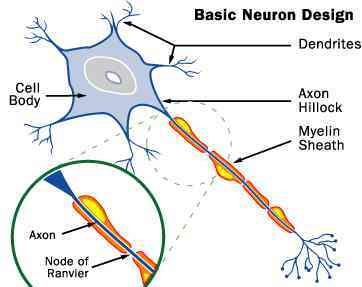 Each neuron receives sensory input to its dendrites which can stimulate or inhibit it. It takes place at special points of contact, called synapses. Each nerve cell can have thousands of such contacts with other nerve cells and trillions of connections between cells. Each nerve cell (neuron) in your brain consists of a cell body, a long fibre called an axon, and numerous shorter fibres called dendrites. Brain cells are separated by tiny gaps called synapses. When an impulse moves through a brain cell, the cell releases chemicals called neurotransmitters in the synapses. These chemicals (neurotransmitters) do not only aid in transmitting messages from one brain cell to another, they also help to transmit messages from the brain to the rest of our body. Every thought you think is represented by bursts of electrical actions and subtle chemical changes, as hosts of brain cells pass messages rapidly among themselves. Some of these brain cells are capable of making connections with up to 15 000 other brain cells. As the brain processes its environment and experiences the data is interpreted from all over the brain, uniting multiple functions so that indvidual instruments are playing together in a meaningful way to produce beautiful music. Harness this enormous power! Mind Power is already within you. You do not need to search for it outside yourself. It is all ready at your disposal – you just need to activate it. It Is Not How Smart You Are but How Are You Smart! Everything that is alive pulsates with energy, and all of this energy contains information. 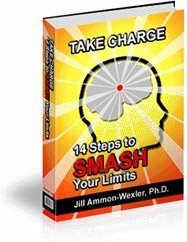 How to utilize the intelligent energy from the unified energy field. This is how we are one. Unknown to most people, we actually have three physical brains. You’re intimately familiar with the brain encased in your skull. But did you know you also have a second brain in your gut and a third one in your heart? Actually, over one half of your nerve cells are located in your gut. There is also a neural communication pathway between the heart and the brain. Your “gut brain” contains neurons and neurotransmitters just like those found in your skull. Heart thinking sends messages to the brain which affect our vision, listening abilities, reaction times, mental clarity, feeling states and sensitivities . Just like your primary brain, your other body thinking tools are also able to learn, remember, and produce emotion-based feelings. There are biochemical substrata to the thinking process. This means that emotions, feelings and memories transform themselves into biochemical events demonstrated in the cells of our body. What exactly is the aura, or human energy field? 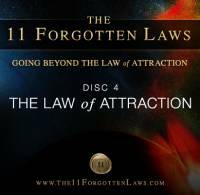 It’s a life energy field that surrounds and penetrates the physical body. It has a particular structure that is directly related to the shape and size of the body. They contain clear messages about the ‘thinking’ abilities of our body cells.